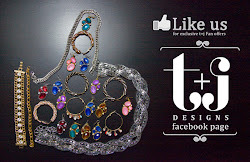 t+j Designs Blog: "Like" us on Facebook giveaway! "Like" us on Facebook giveaway! As a special treat, we are offering a special giveaway on our t+j Designs Facebook page - like our page to enter for the Mother of Pearl Rose Gold Necklace. Leave a comment on this picture on our t+j Designs page and you'll be entered! ENTER HERE! Giveaway ends Feb. 6th at midnight. If you already have liked our t+j Designs page, just leave a comment below the pic.